As early as last June, the entity that owns the parking garages around Yankee Stadium was facing significant economic distress. Despite raising rates (off inflated prices in 2009), the Bronx Parking Development Company reported dwindling revenues for the 2010 season. As a result, it was forced to use its debt reserve to make interest payments on the $237 million worth of tax-free bonds that were floated by the city to build the now mostly vacant structures. Declining parking occupancy at Yankee Stadium garages has put the management company on the verge of default. Since that initial report, Bronx Parking Development has continued to experience financial difficulty, so once again, the company decided to raise its prices. This time, the rates jumped to a whopping $35 for self-parking and $48 for valet, an increase of about 50% and 33%, respectively. 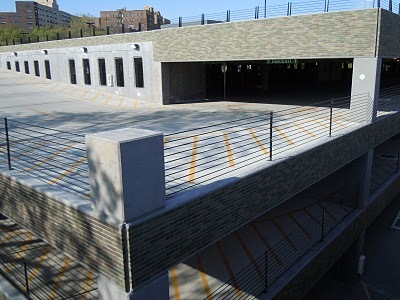 Now, two months into the new season, comes word that occupancy at Stadium-area parking garages has plummeted all the way to 31%, a sharp decline from the already low rate of 60% in 2010. Fittingly, the company’s decision to raise self-parking rates by 50% resulted in a corresponding 50% decline in occupancy. Apparently, the executives at Bronx Parking Development have never taken an economics course. Or, maybe they were just absent the day supply and demand was covered? What the powers-that-be at Bronx Parking Development don’t seem to realize is the price for parking is very elastic. With cheaper car lots and free street spots located within walking distance as well as improved public transportation infrastructure, consumers don’t have to pay through the nose for parking. Add in the increasing cost of tolls and gas, and an inflated parking price becomes only the last on a growing list of incentives encouraging Yankees’ fans to leave their cars at home. No one should be surprised by Bronx Parking Development’s looming default. After all, William Loewenstein, the company’s chairman, has made a habit of not paying back loans. What’s worse, Loewenstein’s defaults were on tax-exempt bonds issued in conjunction with other municipalities. In other words, get fooled by Loewenstein once, shame on him; get fooled by Loewenstein three times, shame on the municipality. Bronx Parking Development is not in a position to turn any paying customer away. Although the Yankees have no ownership of the parking facilities and no authority to set prices, they do have a role to play in the solution. The most popular remedy would be to dismantle at least one structure and turn it into an alternative source of revenue. In order to do this, however, the Yankees would have to approve any decision that lowers the number of available parking spaces from the current total of 9,000. Perhaps as a tradeoff for paring down the allotment, the Yankees could insist on significantly lowered rate? If Bronx Parking Development’s executives were smart, they would jump at such a compromise. Not only would the company gain added flexibility, but it would likely also enjoy a double benefit courtesy of some basic economics. Despite having no direct economic link to the garages, the Yankees would also benefit from lower parking rates. The rising cost of going to a game has led to budgetary spending, so more money in the fans’ pockets would mean more to spend at the Stadium. Also, cheaper parking might encourage more people to drive, which, in turn, might lead to more fans arriving earlier and leaving later. Again, more time in the ballpark means more time to spend. 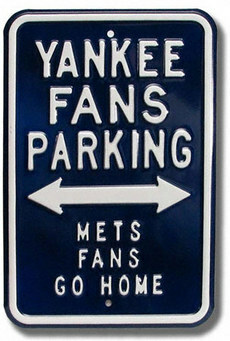 Finally, lowering parking rates would also provide the Yankees with goodwill. After all, although the team has no control over the prices, you can bet many fans think they do.